Balanced market conditions in Toronto have dampened gains in the nation’s monthly home price index in August, according to the latest Teranet-National Bank House Price Index. Published today, the national composite index, which tracks 11 of Canada’s largest housing markets, was up 0.6 per cent in August compared to July — less than the average 0.7 per cent gain for the month of August over the index’s 19-year history. “I would tend to explain it with the decline in Toronto just because Toronto is a third of the index,” National Bank Senior Economist Marc Pinsonneault tells BuzzBuzzNews. For the first time since January 2016, the home price index for Metro Toronto saw a month-over-month decline, dropping 0.4 per cent compared to July. 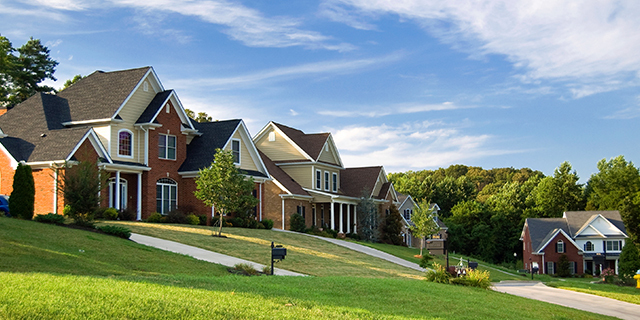 The drop was attributed to the recent “loosening” in the home resale market. At the beginning of the year, Toronto’s active-listings-to-sales ratio, which Pinsonneault says is an indicator of market conditions, showed tight conditions with a ratio above the long-term average of 2.5 months. In August the ratio dropped in line with the average. According to Pinsonneault, the market was historically tight in February 2016 but then started to balance over the summer months. With the market sitting in balanced territory, Pinsonneault adds that this ratio should limit a further price correction in Toronto. A recession is also unlikely in the metro given that the current level of the active listings-to-sales ratio is well below the levels recorded during the recession in 2008. “We don’t think it will go to catastrophic proportions because the ratio is telling me now that the market is balanced instead of very favourable to buyers like it was during the last recession,” says Pinsonneault. However, with the Office of the Superintendent of Financial Institutions proposing to tighten the qualification process for uninsured mortgages and the possibility of further interest rate hikes this year, price declines are not out of the question. Although Toronto’s index saw a drop last month, the index rose above the national average in five other markets included in the composite index: Vancouver, Victoria, Ottawa-Gatineau, Winnipeg and Edmonton. On a year-over-year basis in August, the national composite index was up 13 per cent from a year ago, a pull-back from the annual gains of 14.2 per cent in both June and July. The 12-month advance was led by year-over-year gains in Toronto (23.9 per cent), Hamilton (23.4 per cent) and Victoria (16 per cent). Vancouver saw a 9.3 per cent annual gain from a year ago, which is considered strong, but still well below the national average, says Pinsonneault. However, Vancouver’s increase is larger than the year-over-year increases seen in Calgary and Ottawa-Gatineau, at 2.2 per cent and 4.2 per cent, respectively. “The market is still tight in Vancouver, so it’s more normal in this place to have a higher momentum of price increases in Vancouver than you have in Montreal or Ottawa-Gatineau,” says Pinsonneault. The year-over-year gain was smallest in Winnipeg (1.6 per cent), Edmonton (0.9 per cent) and Halifax (0.7 per cent).